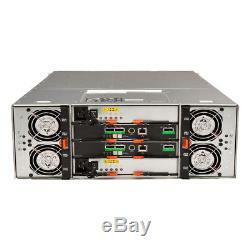 Up for sale is a Dell PowerVault MD3060e array. This storage array is loaded with 60x 10TB 7.2K NL SAS HDD's. (Ask us about a custom configuration). 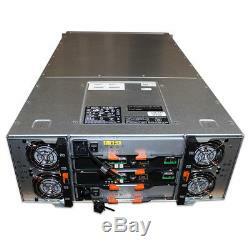 Chassis: Dell PowerVault MD3060e 60x 3.5 Drive Bays RAID Controller: Dual 6G Enclosure Management Modules (EMMs) HDD: 60x 10TB 7.2K NL SAS 12Gbps (Ask us about a custom config) PSU: Redundant 1755W Power Supply Accs: Rails and Bezel are Not included. XByte is a premier reseller of IT equipment with a history of quality service for over 16 years. 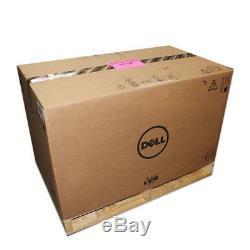 We specialize in servers, storage, and parts for Dell, and HP. With a long history in the industry, we have the knowledge to answer any question and get you exactly what you need at the best price possible. All technicians carry OEM Specific Certifications. All parts are guaranteed to be genuine OEM parts and free of any "white label, or "third-party. Over 40,000 square feet of air conditioned space in two facilities. 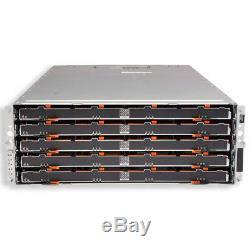 The item "Dell MD3060e PowerVault Storage Array 60x 10TB 7.2K NL Redundant EMMs" is in sale since Thursday, May 17, 2018. This item is in the category "Computers/Tablets & Networking\Enterprise Networking, Servers\Network Storage Disk Arrays\SAN Disk Arrays". 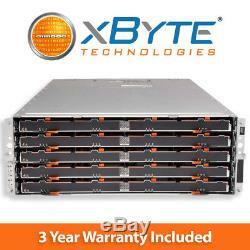 The seller is "xbyte" and is located in Bradenton, Florida. This item can be shipped to United States.